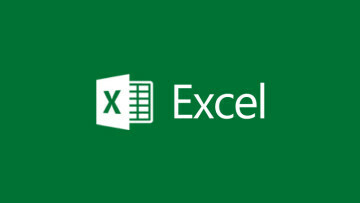 Yesterday evening the Federal Aviation Authority (FAA) authorized the Microsoft's popular Surface 2 and Surface 2 Pro tablets for use in all stages of flight on airlines as a Class 1 or 2 Electronic Flight Bag (EFB); paving the way for paperless flight decks with all required documents instead being accessed via the Surface. Many commercial airlines are actively looking to embrace the idea of a paperless cockpit and using mobile devices instead, despite the evolution required in the work of pilots, flight attendants and ground crew to facilitate the change without compromising airline security. Many airlines believe that operations could be massively simplified if the pilot filed documents digitally via a tablet computer, however. 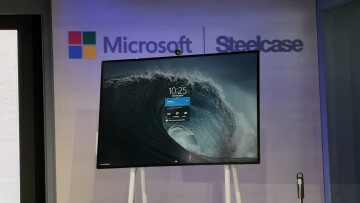 Microsoft's recent work with Delta Air Lines, which involved the trial use of the company's Surface tablets on flight decks, has been largely positive with many pilots saying that despite the varying light conditions within the cockpit during flight, the Surface's display offered very low reflectivity whilst still claiming high contrast. 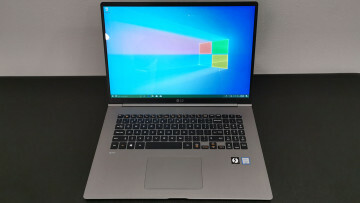 They also noted the 10 hour battery life, quoting it as being more than enough for the majority of flights and the easy multitasking of side-by-side apps is especially useful for viewing weather and flight information at the same time. 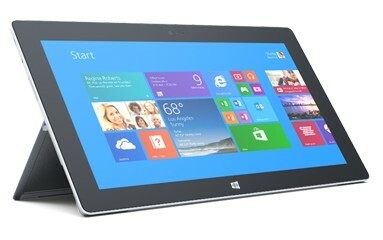 As a result, the Surface 2 is now used actively by all Delta Airlines pilots in full-time use. Yesterdays developments mean that it is now a lot easier for other airlines to start using Surface tablets on their planes. Previously, vast amounts of paperwork was required before the Surface could be used as an EFB by airlines such as Delta but now the time to deployment of a Surface 2 tablet to flight decks has been massively reduced although the FAA must still be notified of the specific usage of the device before it is authorized for use. The news is also accompanied by the arrival of Jeppesen's FliteDeck Pro app on Windows 8.1 which makes it easier and safer for pilots to work with charts whilst in the air. 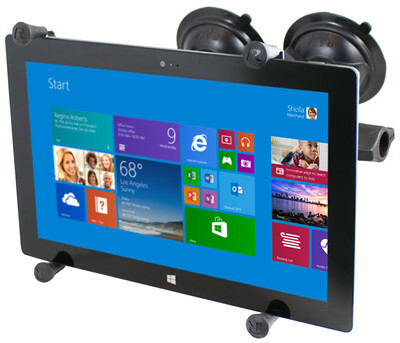 Microsoft has also officially partnered with RAM Mounts, the makers of a very effective holder for the Surface that can be used to fix the tablet onto the flight deck of an aircraft. 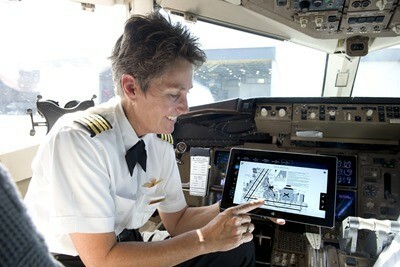 Although it is likely to be a while before all commercial airlines use paperless cockpits, airlines are expected to greatly increase their IT budgets within the next year with the majority of the new funding being spent on tablets. The 2013 Air Transport Industry Insights IT Trends Survey also expects that by 2016 87% of commercial airlines and 71% of all airlines will also be deploying tablets to ground crews for use in vehicle maintenance and upkeep as well as to the stewards on board passenger aircraft to facilitate the easier organising of passengers.